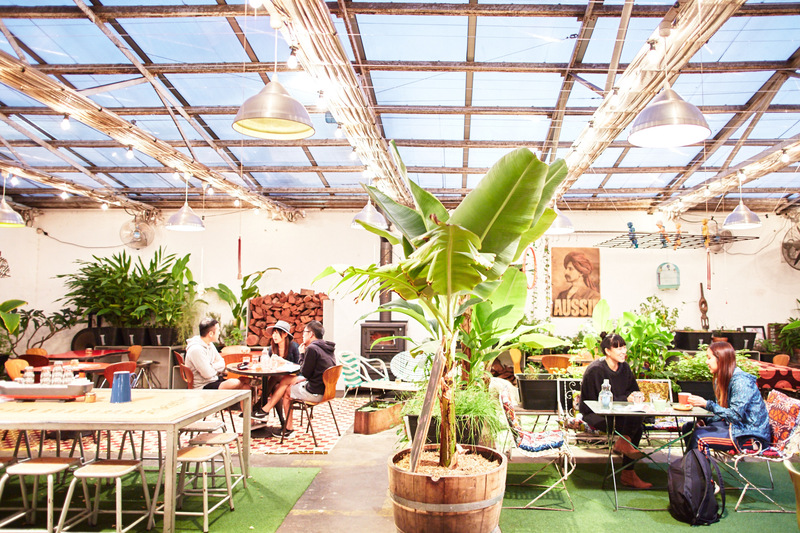 Fitzroy’s Grub – all of four years young – has established itself as one of the area’s most convivial spaces. This winter, Grub welcomes new head chef Scott Blomfield, who will expand an all-day concept that focuses strongly on lunch and dinner, as well as the successful weekend brunch and functions trade. The team is augmented by chef, sustainability advocate and urban gardening expert Ben McMenamin, who will help grow Grub’s sustainability ethos through the formidable greenhouse garden and the business as a whole – from ethical supplier chain to worm farm. Taking the reins as head chef, NZ expat Scott Blomfield (formerly of Supernomal, Auckland’s pioneering Cru at Sale St., and more recently head chef at Mighty Boy Eatery) will oversee the creation of a seasonal and considered menu focused on the simplest expression of the highest quality produce, inspired as much by Grub’s garden as it is guided by the seasons. •	Earth-baked sweet potato with Jerusalem artichokes, house-soured cream, and warrigal greens. In addition to the authorship of a rotating daily chef’s menu, Blomfield will also build on the boards, brunch and canapé and functions offerings to further serve the wide range of groups that the venue can accommodate. Also from New Zealand, Ben McMenamin has certainly found his home in Melbourne’s diverse and world-leading hospitality scene. He has been integral to some of our best kitchens, having spent time at Auction Rooms, St. Ali, and Top Paddock, as well as more recent stints at Supernormal and Daylesford’s Lakehouse. McMenamin’s kitchen skills will inform his culinary collaboration with Blomfield, while his time as an RMIT University researcher and urban gardener will inform the direction the kitchen garden takes. McMenamin is also the founder of the Social Food Project – a new social enterprise dedicated to sustainable food – and he will be hosting some great events and workshops with the Grub team. “Grub is a great venue, certainly the first restaurant I have worked in where the main dining room is a greenhouse! We have some great sustainability initiatives on the horizon, so watch this space,” says McMenamin. Eclectic and unique, Grub is at once greenhouse and dining room, garden and bar. 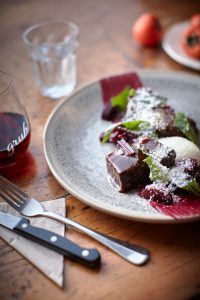 With a commitment to the old-fashioned principles of hospitality and the new-fangled possibilities found in addressing wastage and sustainability, Grub continues to grow into one of Melbourne dining’s most compelling stories.